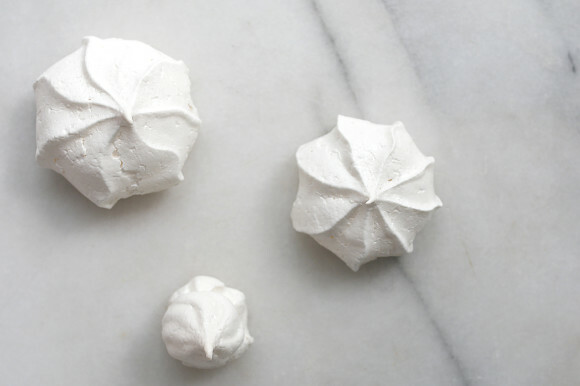 There’s an instagram account I love to follow for inspiration- it’s called @thekitchn. 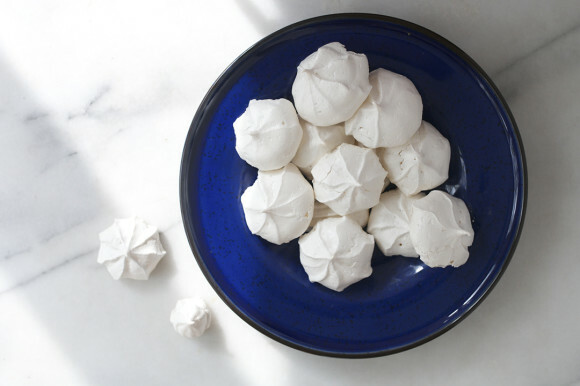 They are currently running a baking school series via email and it’s leaving me feeling so inspired again to bake! I’ve learned pretty much everything I know from my Mom which rarely includes any technical information (thank goodness or else I probably wouldn’t have grown up loving to bake, ha!) so this is sort of new for me. 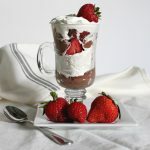 I know that soft cookies and rich chocolate mousse and pillowy meringue all need eggs for different reasons but I honestly couldn’t tell you why! There’s not much science to my knowledge but reading through The Kitchn’s email series has been really fun while informative at the same time. 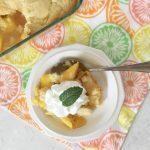 I actually like all that science information now and it helps me create my own recipes that work much better because the foundation is there. I’m not messing with chemical reactions that are necessary when you are baking. PHEW. So. 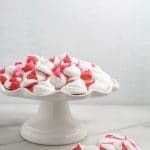 My girls have never had meringues and described them like marshmallows (Gracie) or cotton candy (Lilly). I think those are both pretty good descriptions of this odd food – a firm but melt in your mouth shell with a slightly softer inside. These really do melt in your mouth and dissapear which is dangerous… because then you end up eating like 5 or 55 or however many you have…Oops. 1. 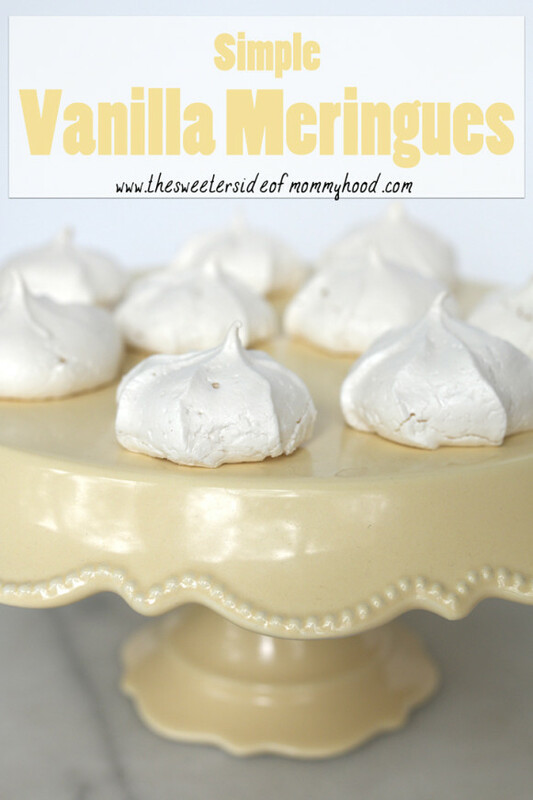 Whip eggs whites with an electric mixer until foamy and white. 2. Add sugar to egg whites slowly while keeping the mixer on high speed. 5. Continue beating until stiff peaks form when you lift the beaters out of the bowl. Stiff peaks do not wilt over when you turn the beaters upside down. 6. 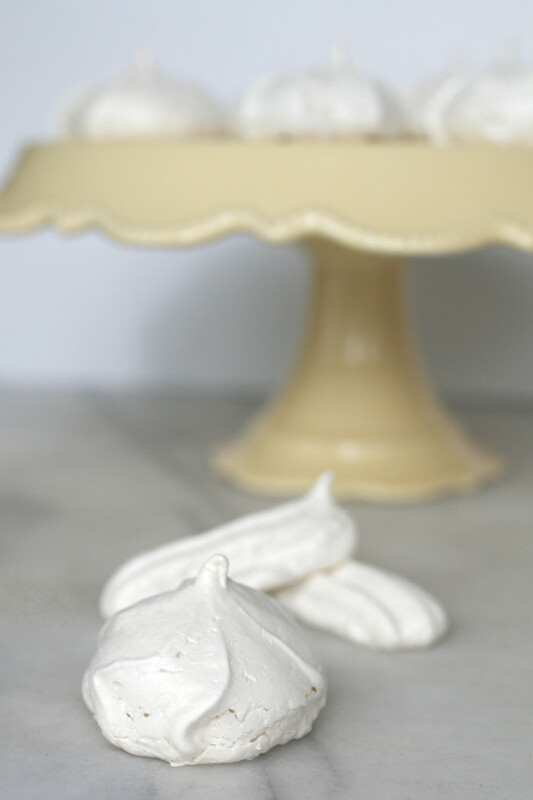 Fill a large piping bag fitting with your choice of large tip with the fresh meringue. 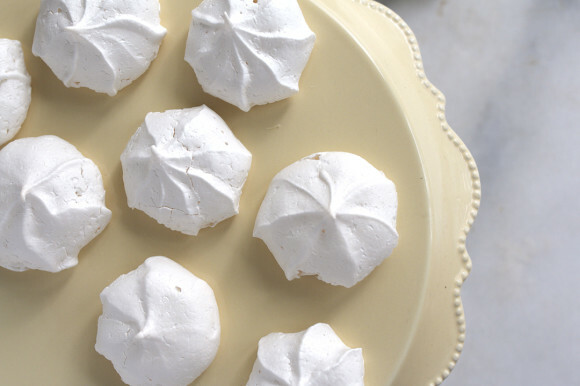 Then, on a baking sheet lined with parchment paper, pipe your meringue in little mounds. They can be piped fairly close together as they won’t spread at all. 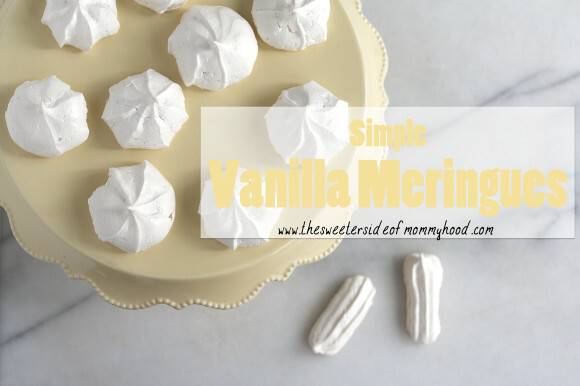 (Just make sure to leave about a centimeter of clearance all around so each meringue gets plenty of air. 7. Bake in a preheated 215 degree oven for about 60 minutes. 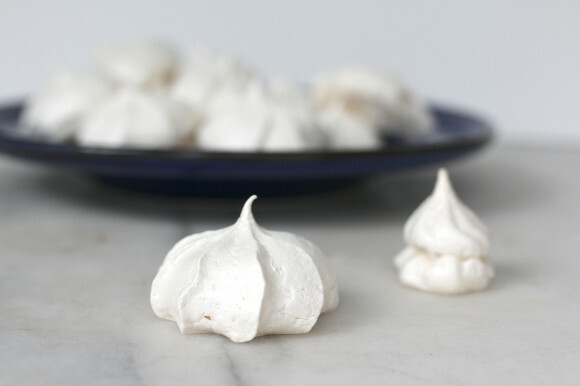 You want the shell to feel hard and sound “hollow” when tapped but you do NOT want the meringue to brown. 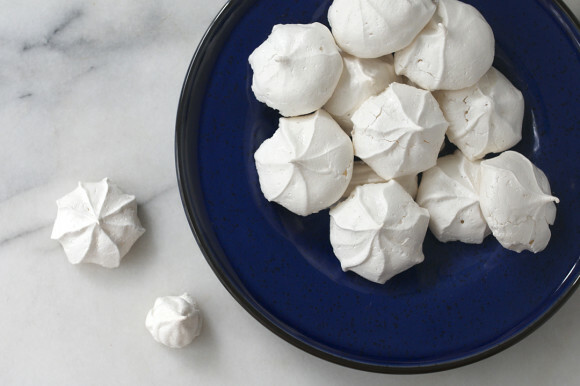 If the shells do start to brown before the meringues appear firm, crack the oven door open and let them continue that way until stiff. That’s it! Couldn’t be easier, right?! 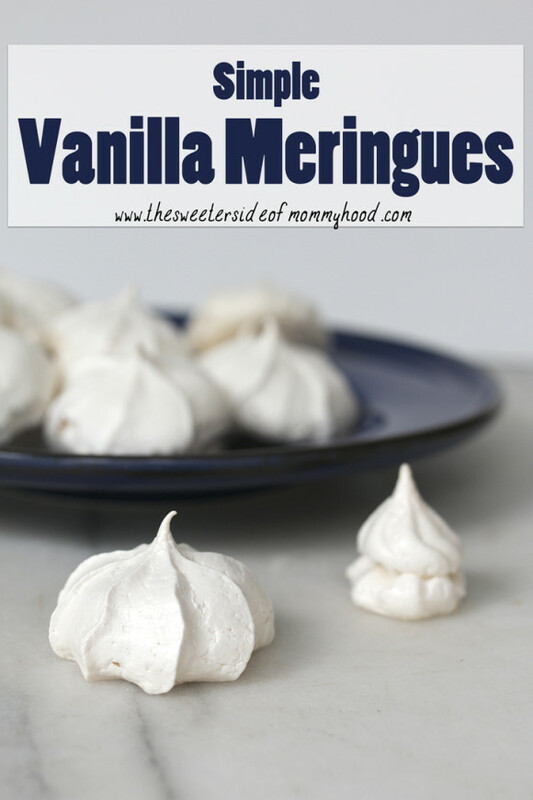 There are so many variations for meringues I don’t even know what to do next. Maybe mint chocolate chip or funfetti? I’ll ask my mini bakers. 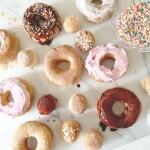 I’ll be adding my photos and recipes to @thekitchn’s baking school hashtag on social media: #kitchnbakingschool. 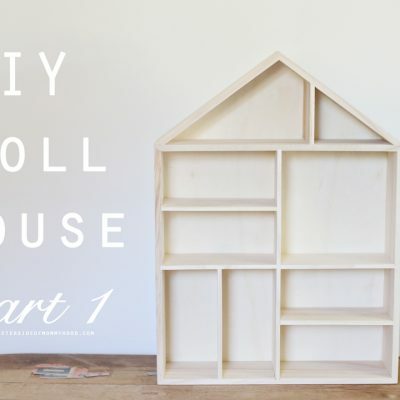 If you make something inspired by @thekitchn- be sure to add your photos too!